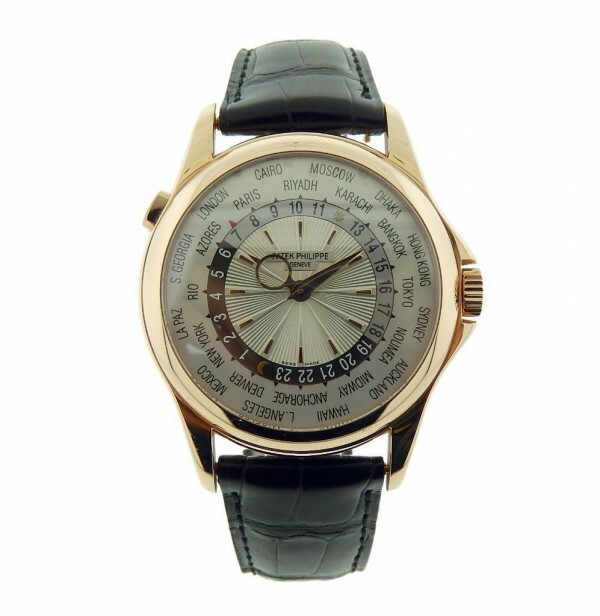 Own this beautiful Patek Philippe and love its high quality precision. 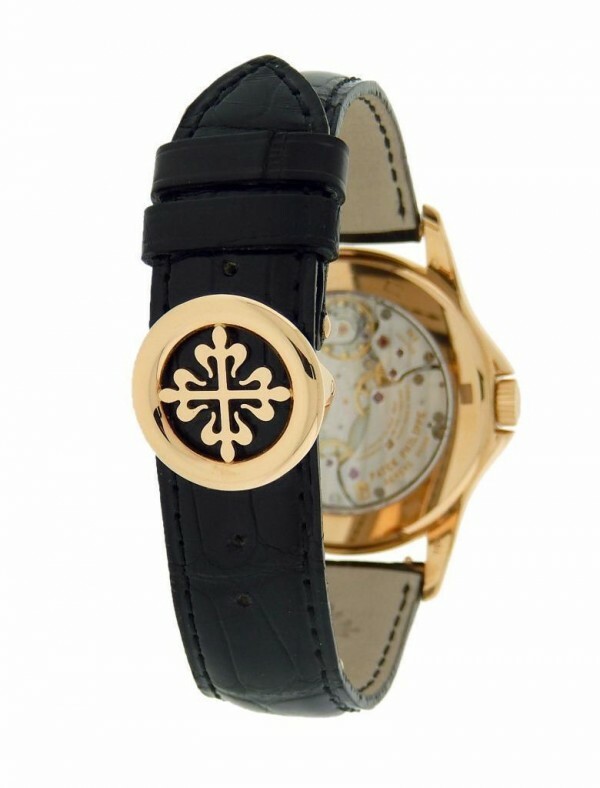 Watch offers 18K Rose gold case with 18K Rose Gold deployment buckle, Black leather strap, Silver dial offering World time and pusher button. Watch is pre owned and shows regular signs of usage however works flawlessly. Watch is complete with its Box and Papers. Watch is a great add-on to collectors and surly makes a great gift. 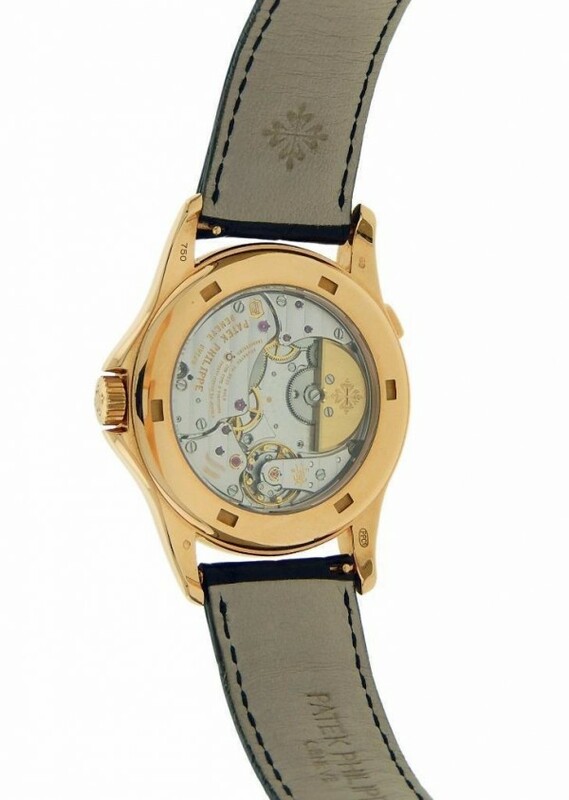 Original Patek Philippe in excellent like new condition with minimal to no signs of previous wear. 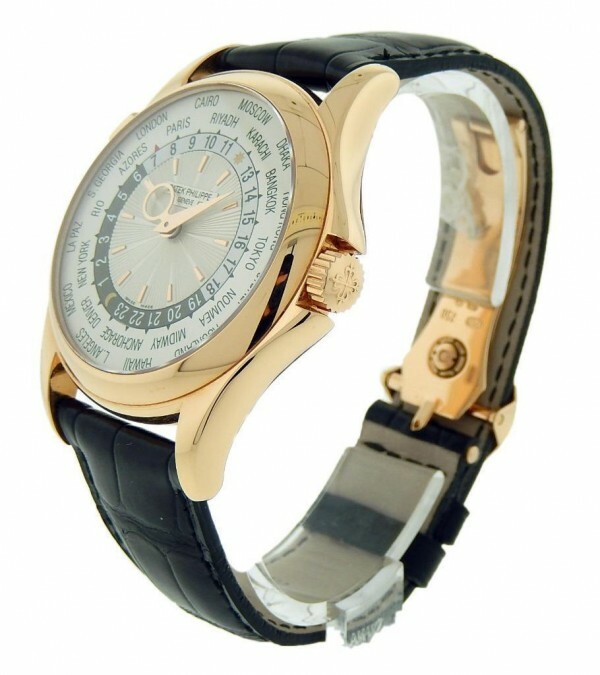 The watch keeps perfect time, overall functions work perfect, and there are absolutely no defect!